By Jon Huckins and Jer Swigart. 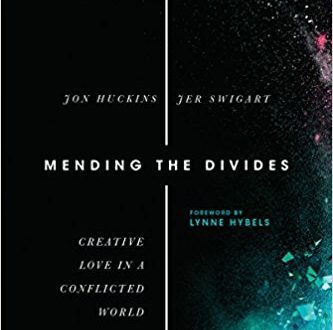 Invites readers to move toward conflict and brokenness, not simply for the sake of resolving tensions and ending war but to understand that peacemaking is the mission of God, and therefore the vocation of believers. Peace is no longer understood as merely the absence of conflict―peace is when severed relationships are repaired and restored. Using biblical and current-day illustrations of everyday peacemakers, it provides disciples of Jesus to move toward conflict and seek the restoration of relationships, communities, and the world, offering practical steps to engage in the kingdom-building work of waging peace. Read more.